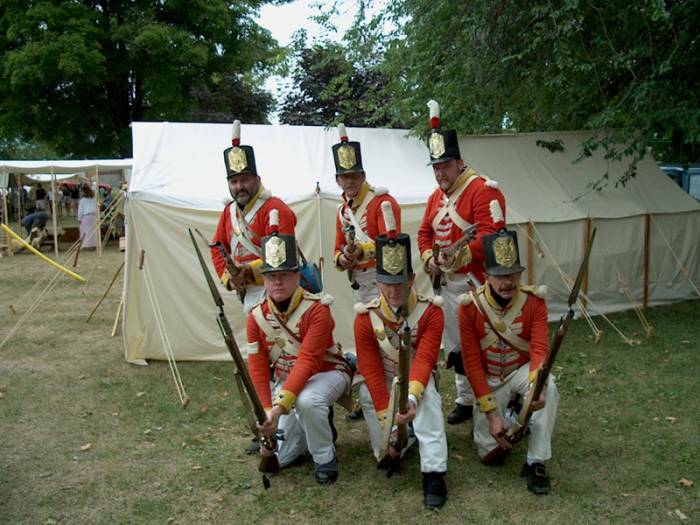 Six Canadian Fencibles prepared to receive cavalry - Gananoque 2001. 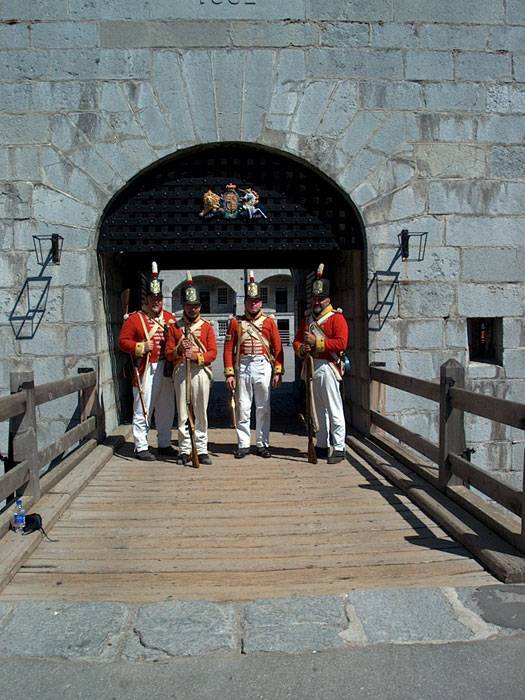 Canadian Fencibles at the entrance to the inner parade square - Fort Henry 2002. 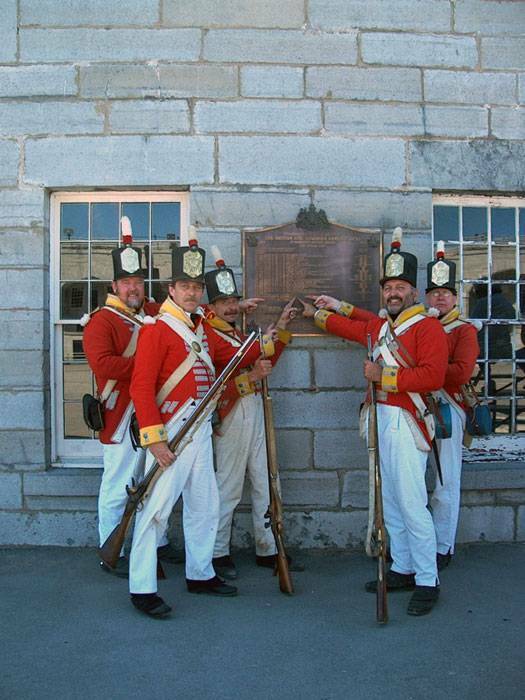 Pointing to the Canadian Fencibles name on the Plaque of regiments garrisoned in the fort over time - Fort Henry 2002. 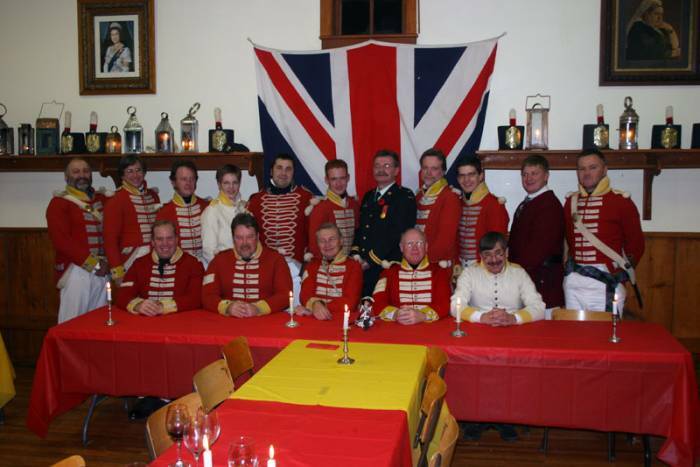 Canadian Fencibles Regimental dinner - Adolphustown 2005. 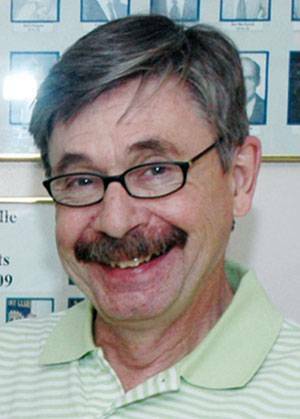 Robin Morris. 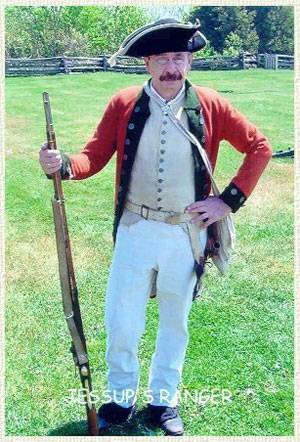 With permission from the Russell Villager.